Lazerbuilt are proud to introduce new products into our car and travel range! 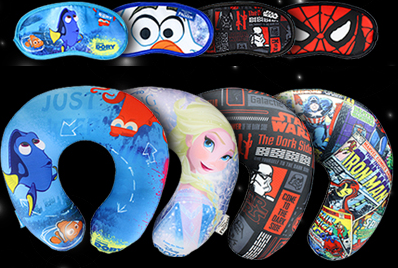 Currently our range features products for well-known, Disney brands such as Frozen, Star Wars, Finding Dory and Marvel, suitable for both a girl and boy target audience. For 2017, we will be introducing NEW Disney brands into our portfolio, Cars 3, Disney Princess and Spiderman will all feature in a variety of product areas. With Cars 3 and Spiderman films being released between June-July 2017, this is a perfect opportunity to take advantage of film Buzz! We now have a wide range of interior and exterior accessories to make car journey’s more comfortable and fun! 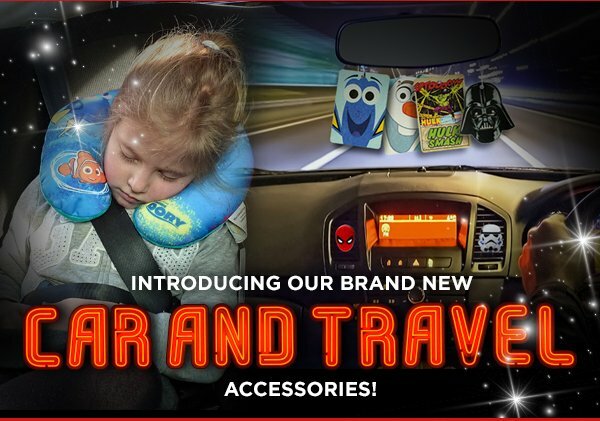 Our current products include a Wookiee Seat Belt cover, Steering Wheel cover, Frost Guard, Sat Nav case and character car chargers all retailed at £9.99 in the UK for the evergreen Star Wars Brand. We have further NEW branded car products in April, including side window shades, front windscreen shades, car cleaning kits. Baby on board signs, car bins and back of seats tablet organisers. To conclude our interior car accessories, we have a number of Air Fresheners which are great for impulse purchase at till point, car care, clip strips or dedicated display units. Our range consists of card air Fresheners, dash board wobblers and 3D vent mounts, which have an RRP between 99p and £4 in the UK. With these products being genuine, licensed Disney products, they are trusted by consumers and provide great growth opportunities. With all year round travellers, holiday’s goers (9.4%) and visits to family (11%) aboard increasing in 2015, our products provided great opportunities for customers to buy branded travel essentials! Our current travel range consists of eye masks, travel cushions and passport and luggage tag gift packs retailing between £9.99-£14.99. Interested in our car and travel accessories? Get in touch now! Lazerbuilt works with a diverse collection of amazing licensed brands across tech accessories, travel accessories and Car Accessories. This wide variety of product reaches many channels from specialists to toy, grocery and online. Whilst we are able to design and develop to our client’s specifications, we also carry stock at our UK warehouse of our product ranges making us easy to deal with and reactive to your requirements. All of our product is sourced from socially responsible factories in China and tested for safety and designed to minimise environmental impact. Please get in touch to talk about your needs.